There's a lot going on in Sweden these days, at least in gaming. DICE is helping out Visceral with Battlefield Hardline, Notch is dodging questions on Minecraft servers and Paradox Interactive is quietly joining the console fray with Magicka 2. The wider world was introduced to the little publishing company based in Stockholm during the Sony E3 2014 Press Conference with the quirky live-action trailer, but I've been watching Paradox grow over the last few years. They have transitioned from a niche developer and publisher of PC strategy games to a leading force on Steam with unique action titles like Magicka and amazingly successful games like Crusader Kings II. CEO Fred Wester has hinted that the company was looking to transition even further for a long while, and now it seems the transformation is complete. Now is the time of Paradox. 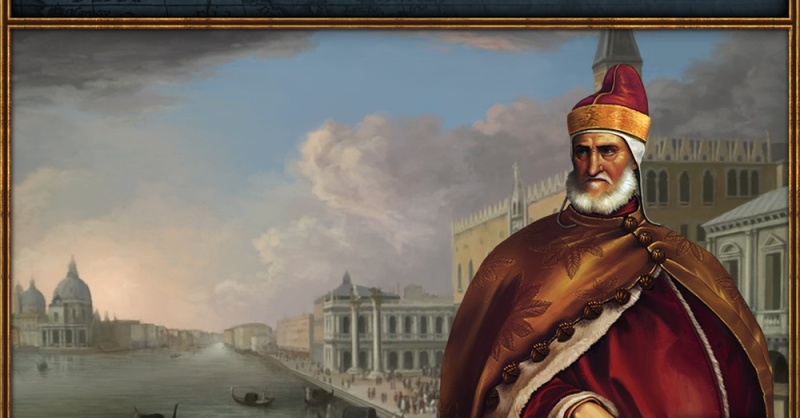 Getting Paradox games on consoles like the PlayStation 4 may not seem like a big deal. But for a company that's heavily entrenched in PC development and distribution, the chance to sell to a whole separate market of console owners is huge. There's a lot of risk, too. But Wester is confident adding PlayStation games to Paradox's portfolio is the right move. "There's always a risk," Wester told me outside a press conference at E3. "We have to make sure that we capture the audience and that we support the game. We're in for the ride, long term, like we continue to patch the game. I remember when we released Europa Universalis 4, four weeks before, we released a patch for EU3 and that was six years after the original release. We were still patching and updating the game." And it is Sony's commitment to allowing that kind of support in this console generation that let the leap for Paradox's many, many patches to make sense. During the PS3 era, the process was not very, shall we say, easy. Patching on last gen involved a check for $40,000 and a first-born child, we've heard. "The older generation was like it was guarded," Wester said. "It was really hard to get in there; you had to beg for patches at some point. It was not really friendly to independent companies like ours. It was more skewed to big, triple-A releases." So what changed? "The discussion started two and a half years ago when Sony explained their new strategy for the console," Wester explained. "Triple-A games that cost $60, there is so much more to the market than only these games. There's still a big impact every time a new GTA or a new Assassin's Creed is released, but there also other games that can make an impact in the market. Sometimes from out of nowhere. If you look at Minecraft, for example. That is probably the best example. Came from nowhere. "Now I think that [Sony] sees that a game like Magicka that sold 2.8 million units on Steam so far can really make an impact," said Wester. "Sony's been really helpful and it's a really good cooperation. The idea for us now is that we sign a handful of games to be out for the PS4 and the first one that we're announcing is Magicka 2, then we'll have a few other ones as well. I hope down the road we're going to release a grand strategy on PlayStation as well." Europa Universalis 4 on a console? How would that work? "We just need to find a way for the font to look better." Having played EU4 on a Steam machine controller back the Paradox Convention in January, it is totally possible to play without a mouse and keyboard, enjoyable even as I soon had the Ottoman Empire marching on Greece.